Cancer avatars, much like avatars in video and computer games, may become dynamic characters, not just collections of visual features. If cancer avatars are developed on the basis of genomic profiles, they can reflect the signaling and metabolic complexities of real cancers. What’s more, a cancer avatar, set loose in a virtual world—call it TumorSpace—may interact with different adversaries—drugs, say—and experience different fates. A crushing defeat would be cause for celebration, for playing with a cancer avatar is more than a game. It could reveal which drugs would be most effective in helping real patients. Researchers fully aware of how computer simulations may inform personalized medicine have developed a virtual cell that achieves a kind of Jekyll-to-Hyde transformation. At first, the virtual cell has the internal workings of a normal, healthy cell. Then, the virtual healthy cell can be made cancerous. Indeed, it can be turned into any kind of cancer cell by distorting specific points and pathways in the system. These cellular distortions represent a person’s cancer avatar. Once the avatar is generated, a computer model predicts which drugs, based upon their known functions, are most likely to kill a real cancer cell. 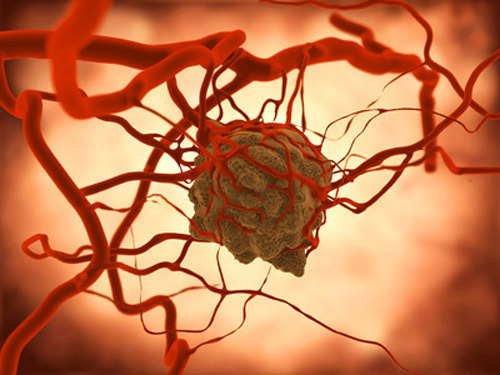 This approach to tumor modeling has been developed by researchers at the University of California, San Diego School of Medicine and Moores Cancer Center. They generated cancer avatars for cells obtained from patients with glioblastoma, a highly aggressive cancer of the brain’s glial cells. After generating predictions of which drugs would be most effective, the researchers “truth checked” their predictions against standard, cultured cells in drug-sensitivity experiments. The researchers published their work May 21 in the Journal of Translational Medicine, in an article entitled “In silico modeling predicts drug sensitivity of patient-derived cancer cells.” The researchers explained that they began by probing the results from a recent hypothesis-independent, empirical study by Garnett and co-workers that analyzed the sensitivity of hundreds of profiled cancer cell lines to 130 different anticancer agents. They then used the tumor model to predict the sensitivity of patient-derived GBM cell lines to different targeted therapeutic agents. “Genomics tells us that cancers are a lot like snowflakes. No two cancers are alike so it does not make sense to give all patients the same drugs. This is the idea behind personalizing therapies for cancer,” said lead author Sandeep Pingle, M.D., Ph.D., a project scientist in the laboratory of Santosh Kesari, M.D., Ph.D., chief of the division of Neuro-Oncology, professor in the department of neurosciences, director of Neuro-Oncology at UC San Diego Moores Cancer Center and the study's senior author.